Korvits Grill is one the unique stalls at BFBTC as they specialize in everything goat's meat. 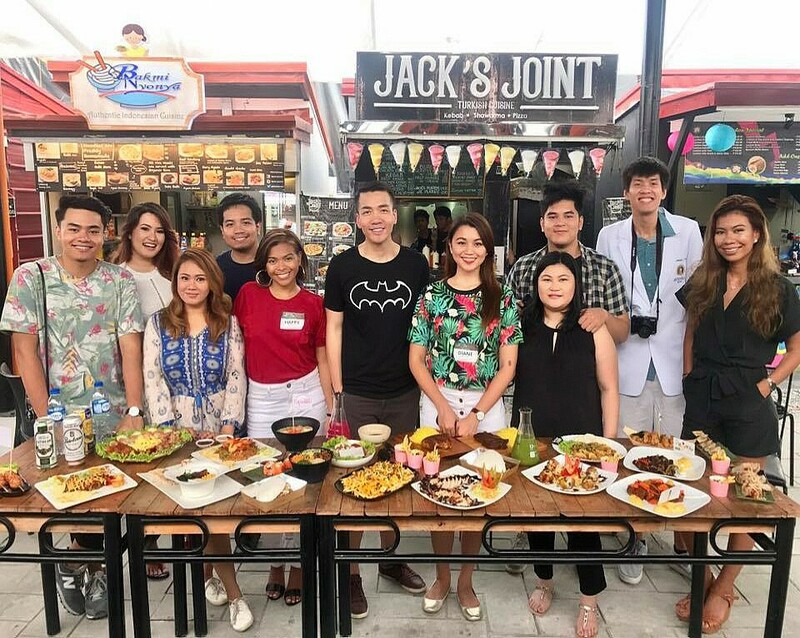 Their dishes are familiar Pinoy entries having caldereta and adobo as the stars of the menu. Korvits Grill also have fish dishes if you're not brave enough to eat goat meat. Goat is a healthy meat source that has become popular in restaurants and stores. Most people think that goat meat is only for pulutan but did you know that it has been consumed around the world for centuries, and it's prevalent in Mexican and Indian cuisine? We tried their Kalderetang Kambing and Adobong Kambing and FYI this is my first time to eat goat meat. The meat, in my opinion, is both tender and gamier at the same time. They are tougher to chew than the meats we are more accustomed to, but tastier. It tastes different than beef or lamb or veal. I LOVE caldereta, it's one of my favorite Pinoy dishes of all time especially my grandma's and my versions. Korvits version of their caldereta had a lot of carrots and potatoes and is a little bit dry for my liking. It tasted good with a well-balanced flavors of sourness and sweetness, but not the version that I would usually eat. I like my caldereta sauce very saucy thick, a bit sweet, a bit tangy with lots of pureed tomatoes and a bit spicy. Just like Caldereta, Adobo has a lot of versions too. On the other hand, Korvits’ adobo is one of the versions I really like. There was a good harmony of ingredients in there. Quite flavorful and with heaps of toasted garlic pieces that goes well with soy sauce, vinegar and black pepper.